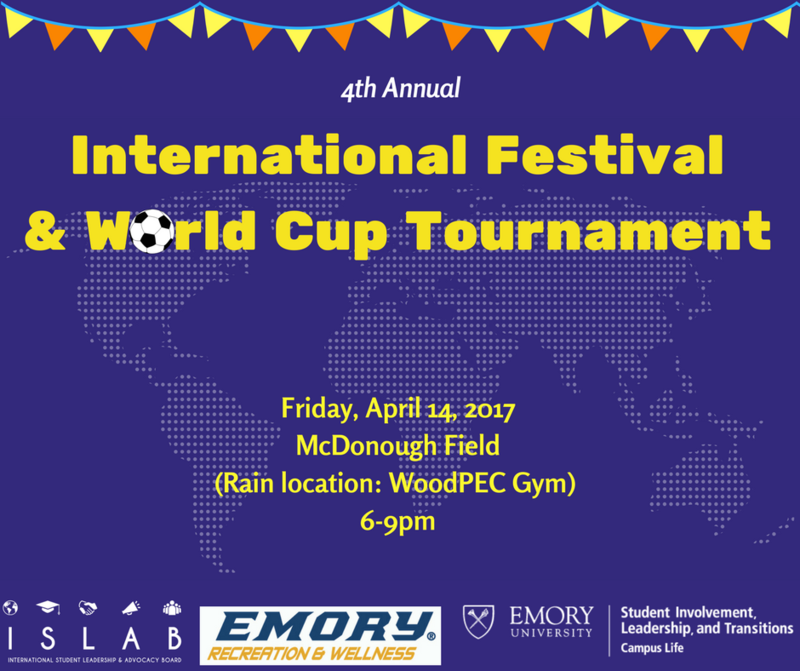 Join ISLAB, the Student Involvement, Leadership, and Transitions (SILT) office within Campus Life, and Emory Intramural at the 4th Annual International Festival and World Cup Tournament! We organize this festival year after year to create a vibrant and welcoming atmosphere where people can learn about and celebrate the diversity of the student body at Emory. We will be featuring cultural student organizations, food, and performances throughout the event.